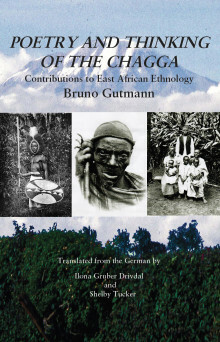 Poetry and Thinking of the Chagga is the first and only English translation of Gutmann’s first book, Dichten und Denken der Dschagganeger: Beiträge zur ostafrikanischen Volkskunde, in which he describes the Chagga’s clan legends, ancestor worship, chiefdom rule, marriage, childbirth, notions of death (the ‘Realm of the Dead’), mourning and burial customs, the exalted position accorded to warriors, superstitions, fears of curses and ‘curse pots’, reliance on sorcerers and witch doctors, and ideas about the sun, the moon and God. An ethnologist and missiologist, Gutmann, according to Boston University’s School of Theology, ‘became justly famous for his studies on Chagga religion, society, and customs, which remained unsurpassed…’ This new edition of his seminal study will be of interest to today’s English-speaking Africanists and students of missionary history. Ilona Gruber Drivdal is a German anthropologist. After finishing her study of the Chagga at the University of Bergen, she taught Anthropology at Hedmark University and for the past twenty years has organized seminars and encouraged and advised tour groups regarding Gutmann’s work. Shelby Tucker has written several books including The Last Banana: Dancing with the Watu. ‘He is an author who has a deep understanding and experience of Africa.’ Catholic Herald, 30 June 2011.